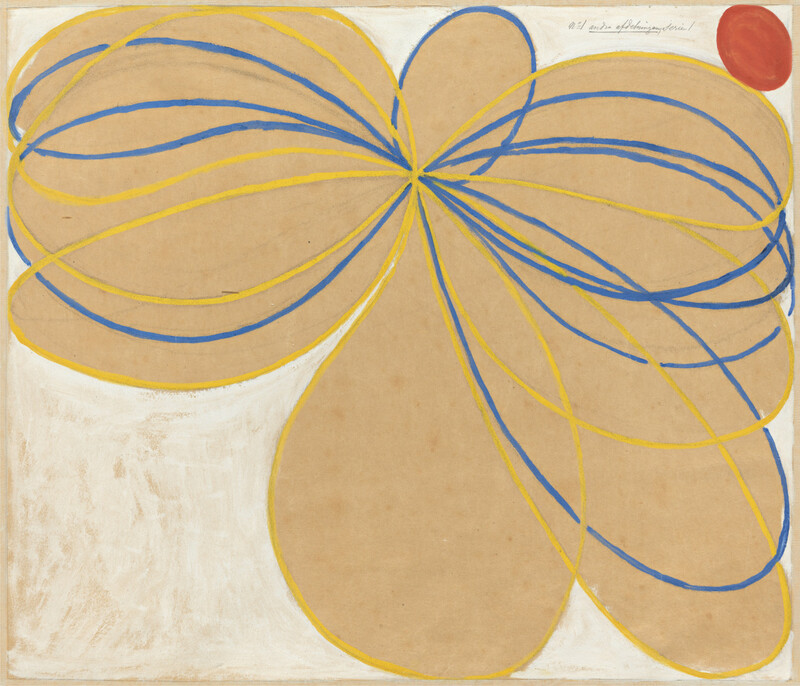 The headline revelation emerging from Hilma af Klint: Paintings for the Future at the Guggenheim Museum is that a Swedish woman, born in 1862, was making ravishing abstract paintings on an enormous scale several years ahead of the modern artists usually credited with inventing abstraction — men such as Wassily Kandinsky, Piet Mondrian, Kazimir Malevich and Frantisek Kupka. Klint made these paintings thinking she was taking instructions from a brotherhood of spiritual sages communicating telepathically from Tibet. So, a question arises: Does the image of Klint attending Stockholm seances with her four female friends (they called themselves the Five) and channelling invisible guides they called Amaliel, Ananda, Clemens, Esther, Georg and Gregor dilute the significance of her achievement, or need it have no effect at all? 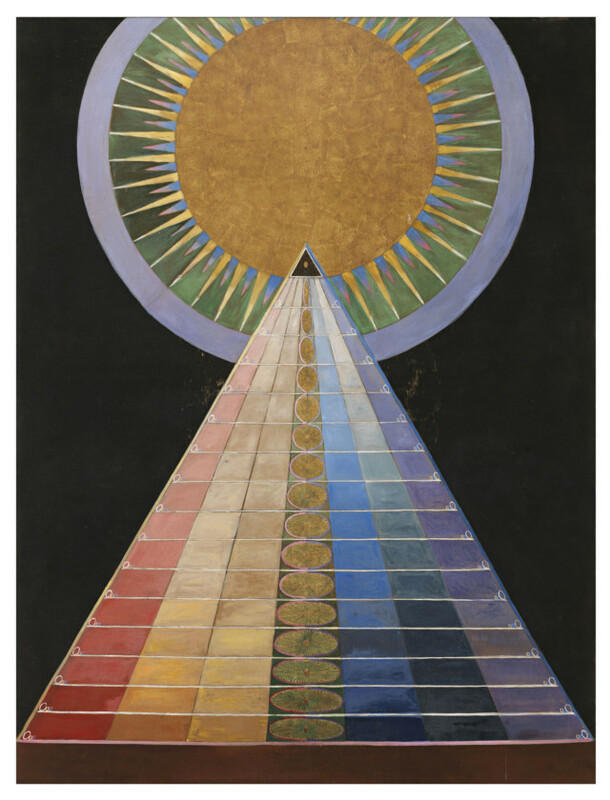 The most spectacular of Klint’s paintings comprise a suite representing the human life cycle. The Ten Largest, as she called them, were painted in tempera on paper in 1907 (the same year Picasso painted his breakthrough masterpiece, Les Demoiselles d’Avignon). They’re huge. Each one measures about 80 square feet. A week after I saw them, their pulsing loveliness remains undimmed in my mind, like a self-replenishing sense memory of summer. Klint produced her temple paintings in a productive gush over nine years. During that time, she made more than 193 paintings and works on paper in two phases, the first between 1906 and 1908, and the second between 1912 and 1915. The four years in between she spent caring for her mother, who had suddenly gone blind. (One looks in vain for an equivalent hole in the resumes of Kandinsky, Picasso or Jackson Pollock). Even then, news of her genius has spread slowly. 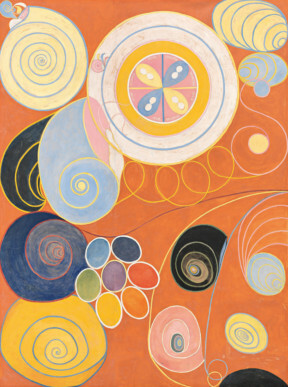 Klint was all but unknown until 1986, when her paintings appeared in a groundbreaking exhibition, The Spiritual in Art: Abstract Painting 1890-1985, at the Los Angeles County Museum of Art. Her work has since enjoyed intermittent outings, including at the P.S. 1 Museum in Queens in 1989. She was the subject of a major retrospective at Stockholm’s Moderna Museet in 2013. This Guggenheim show was organised by Tracey Bashkoff, the museum’s director of collections and senior curator, with David Horowitz, a curatorial assistant. Established in New York by the Russian emigre Madame Blavatsky, Theosophy was a fast-spreading spiritualist movement that sought to reconcile Eastern philosophy and religion with its Western counterparts. Addressing itself to Darwin’s theory of evolution, to the invisible forces (X-rays, atomic particles, radio waves) recently uncovered by science and to a growing awareness of relativism in religion, it sought to lend stability to the era’s dizzying intellectual flux. Much of the order it posited seems ridiculous in retrospect. But many great minds were drawn to it. 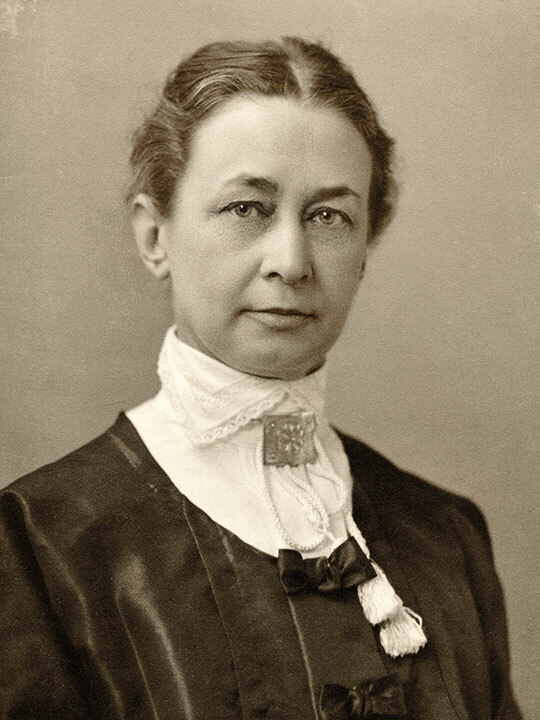 Klint participated in her first seances in 1879, at age 17. Her sister died the next year. She enrolled to study at the Royal Academy of Fine Arts in the 1880s soon after the school began admitting women. After graduating with honors, she pursued an active public career, accepting portrait commissions, exhibiting landscapes, making exquisite scientific illustrations and joining the board of the Association of Swedish Women Artists, even as her heart’s desire was secretly blossoming into the 20th century’s first and most splendid abstract paintings. When the Theosophical Society opened its Swedish lodge in 1889, Klint immediately joined. Seven years later, she and the rest of the Five began participating in seances and communicating with the High Masters in Tibet. They practiced automatic drawing — a form of channelling the unconscious, or unseen spirits, later practiced by the surrealists and their progeny, including Pollock. A century on, what are we to make of a story that attributes groundbreaking artistic innovation to sances, telepathy and spiritualist hokum? I think a bit of imagination is in order. First, we might ask: What was it like being an intelligent, middle-class young woman in Sweden at the turn of the last century? What was it like, in the wake of the death of a sister, arriving at a passionate belief — deriving not from ignorance but from education in science, art and comparative religion — in the existence of worlds beyond the observable one? And what was it like as a woman facing near-constant condescension and exclusion, possibly even fear of madness? In 1914, months before the outbreak of a war so catastrophic it would spark a civilisational and spiritual crisis, Klint exhibited some of her conventional, naturalistic paintings in the Baltic Exhibition in Malm, Sweden. 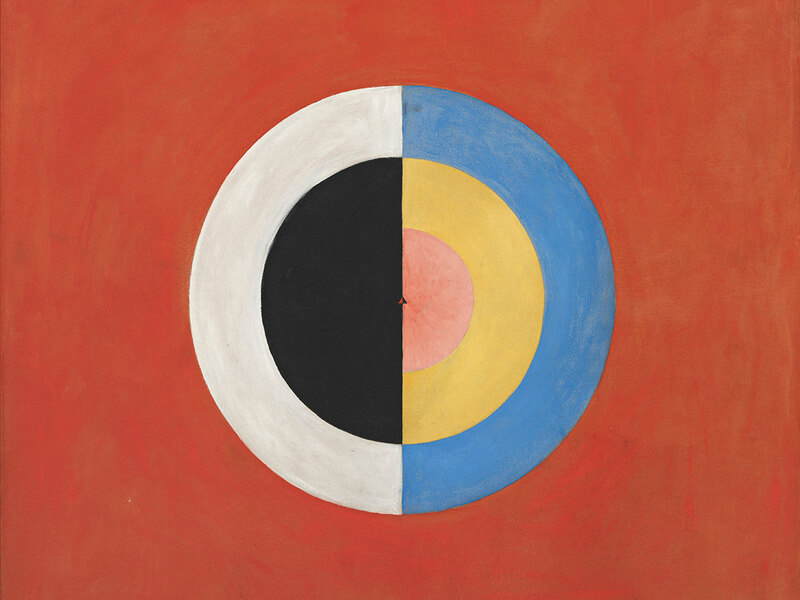 In the same exhibition, Kandinsky exhibited the abstract works that were already revolutionising modern art.